Data layers used in Figure 1 of Ellis et al (2013). ArcGIS Map Document (.mxd), reproducing maps in Figure 1. Map Graphics for Figure 1 are included as .tif files. Kaplan, JO, KM Krumhardt, EC Ellis, WF Ruddiman, C Lemmen, and K Klein Goldewijk. 2011. Holocene carbon emissions as a result of anthropogenic land cover change. The Holocene 21:775-791. Klein Goldewijk, K, A Beusen, G van Drecht, and M de Vos. 2011. 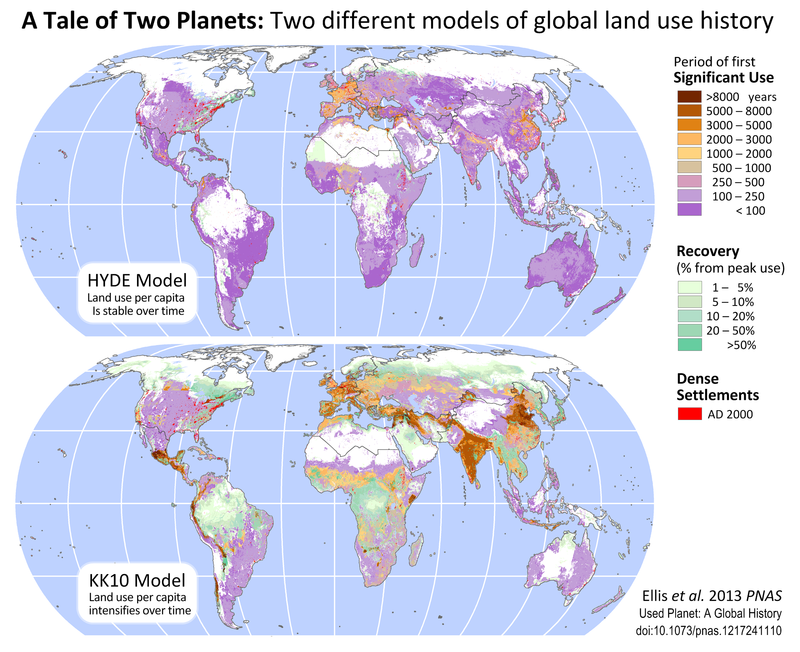 The HYDE 3.1 spatially explicit database of human induced global land use change over the past 12,000 years. 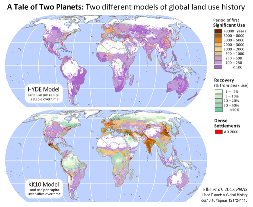 Global Ecology & Biogeography 20:73-86.